The correlation between `disengagement' and illness in people with dementia living in long-term care settings is becoming more widely recognised, and developing and adapting front-line staff responses to the changing needs of individuals is a crucial factor in addressing this problem. This book presents a complete practical framework for whole person assessment, care planning and review of persons with dementia or signs of dementia (including those with learning disabilities) who are in need of, or already receiving, health and/or social support. The book provides photocopiable assessment forms, guidelines for carrying out the assessment, and suggestions for tailored interventions based on the profile that emerges from the assessment process. 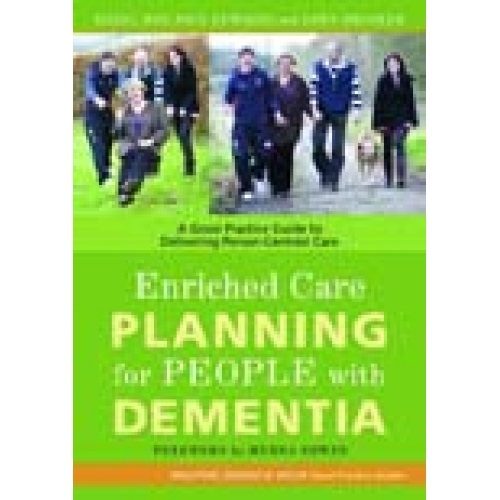 The authors also include a clear explanation of the five theoretical components of dementia that are considered in the assessment: health, biography, personality, neurological impairment and social psychology. This good practice guide will provide a step up to the challenge of providing person centred care as a minimum standard rather than just an ideal. Care workers in residential settings and social workers assessing clients for their support requirements will find this an essential resource.